Fallen leaves, died off water plants and excrements of fish can increasingly pollute the pond bottom. 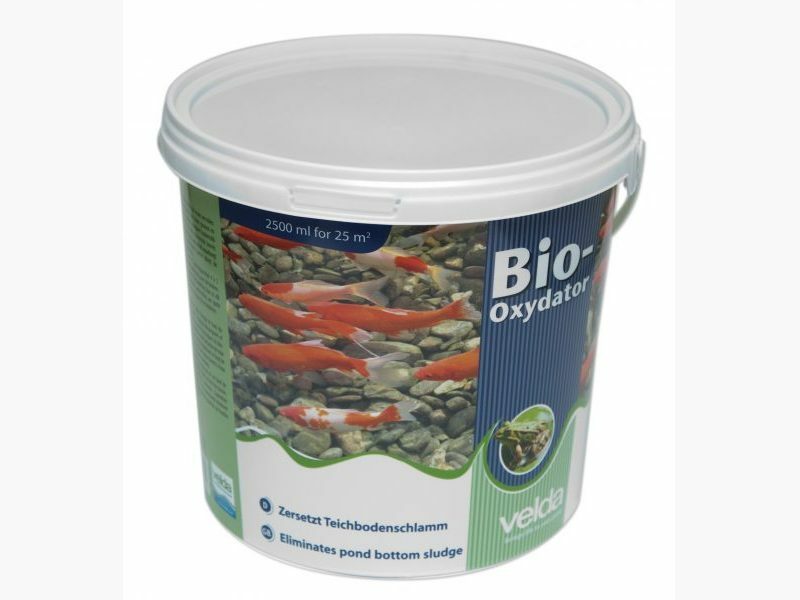 Lack of oxygen will acidify the pond soil, whereas decomposition of organic sludge is no longer possible. 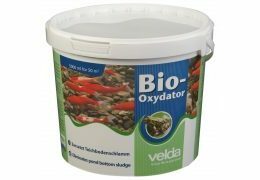 The water plants will no longer grow and algae will gain the upper hand. 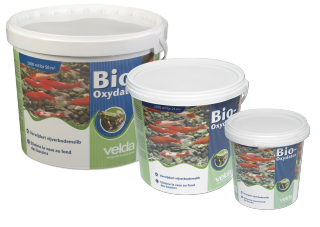 Bio-Oxydator removes sludge from the pond bottom and will prevent new sludge from forming. 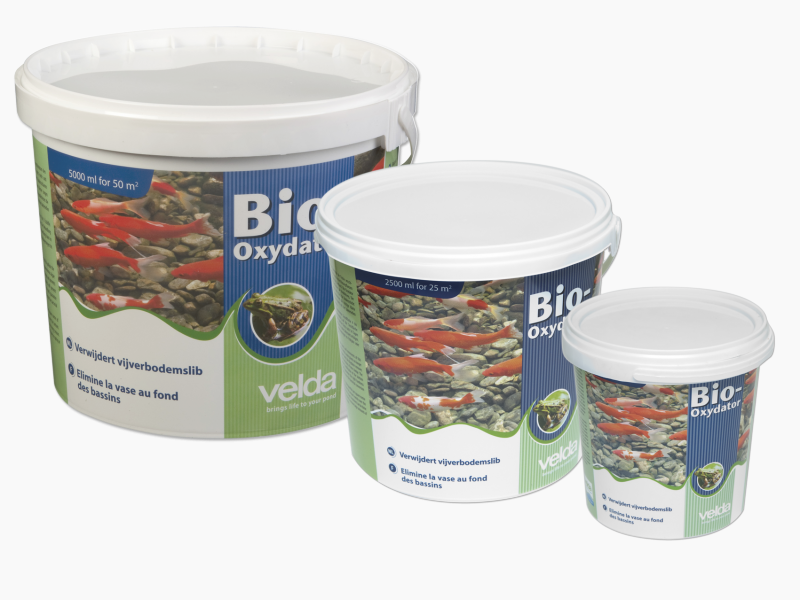 Available in packagings of 1000, 2500 and 5000 ml. 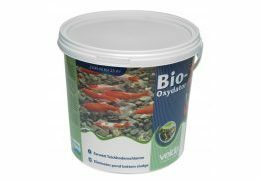 The pH regulating grains will ensure that the pond soil will not acidify. The slowly dissolving natural lime guarantees the right water hardness in the bottom zone. 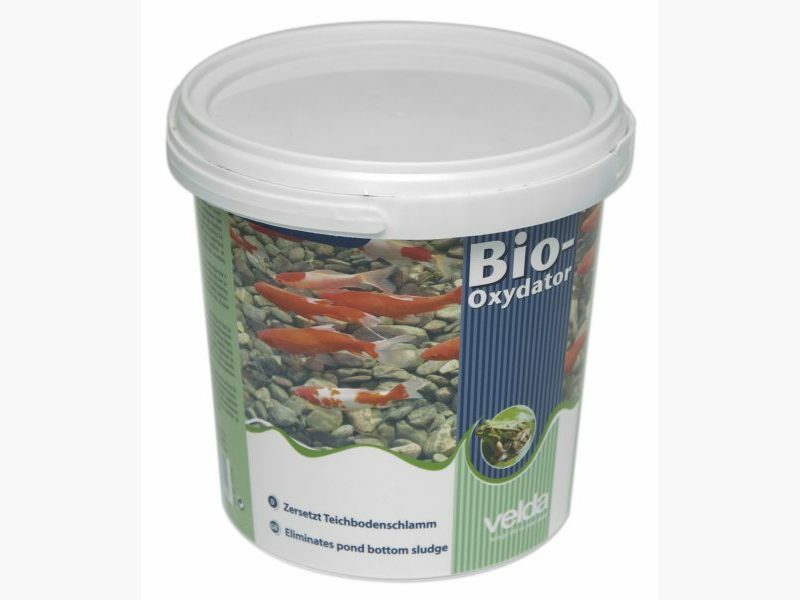 The micro-organisms (in freeze-dried form) start bacterial conversion of bottom sludge at once. 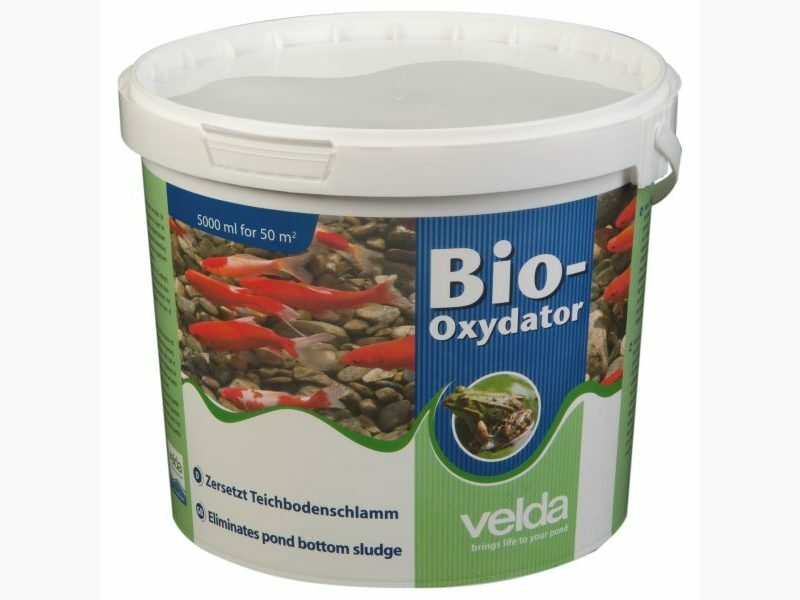 If you apply Bio-Oxydator, any sludge on the pond bottom will disappear soon. Use it in early spring and during autumn.